Two polar opposite miniseries about family begin this weekend. They form a nice yin and yang of domestic drama as they untangle the ties that bind — and, sometimes, when cruelty and negligence are afoot, the ties that immobilize. The yin is Showtime’s “Patrick Melrose,” a bleak portrait of a malignant family twisted by wealth and substance abuse. You won’t easily find an uglier, more damaged TV clan, led by a man for whom brutality is a jolly old sport. The yang is “Little Women,” a PBS “Masterpiece” adaptation of the Louisa May Alcott novel, which takes a sentimental look at a family for whom poverty is no barrier to love and support. The former is a stinging ice storm; the latter is a warm bath. And just in time for Mother’s Day, the former features a self-medicated nightmare of a mom who’s complicit in her son’s abuse; the latter gives us a charitable matriarch eagerly schooling her children in moral strength. The better miniseries is the darker one. The five episodes of “Patrick Melrose,” which premieres Saturday at 9 p.m., are based on the five Patrick Melrose books by Edward St. Aubyn, who grounded them in his own powerful experiences. 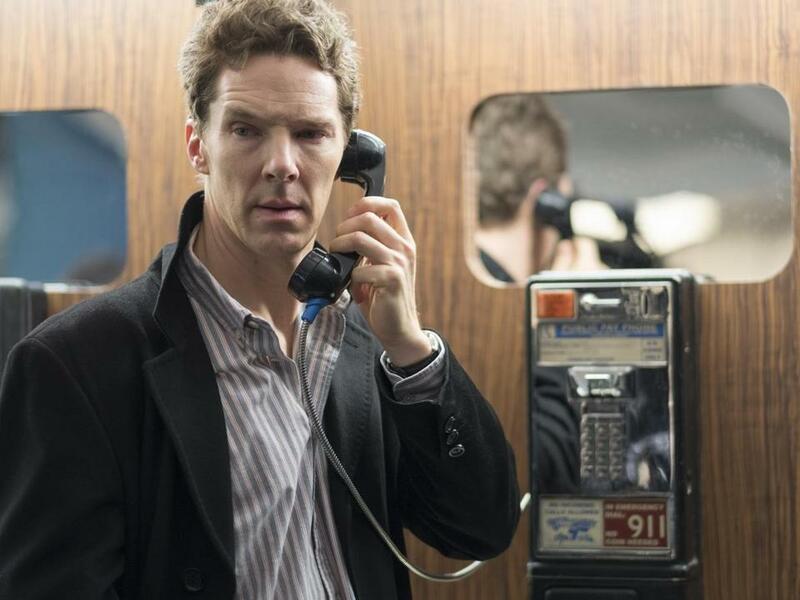 Benedict Cumberbatch plays the adult Patrick, who spends the entire first hour, set in 1982, in a drug-addled stupor, popping Quaaludes, shooting heroin, and slugging back booze as he attends to the details of his father’s death in New York. Patrick is like an upper crust Hunter S. Thompson, with a seemingly endless ability to ingest drugs and cope with the very surreal results. It’s all grim enough, as Patrick flashes back to his childhood in the 1960s and his violent father, who raped him from ages 5 to 8. As a boy, he wanders the family’s gorgeous French villa shaking in fear, while his parents’ houseguests pretend nothing is wrong. The adult Patrick is a slippery guy who’s too busy chasing away pain to let people register on him, either numbing himself with drugs or trying to get clean and suffering the shakes and hallucinations of severe withdrawal. But the more we see of his harrowing youth — episode two is almost entirely set in the 1960s — the more sympathetic he becomes. He did what he needed to do to survive emotionally, and he’s still doing it — blocking out the agony — even if he doesn’t need to anymore. At the core of all the horrors is this gentle, vulnerable boy, and he justifies all the difficult viewing. There’s no question of the abiding link between early traumatic experiences and the present tense in the miniseries, and you can sense it all moving toward some kind of recovery. Adapted by David Nicholls and directed by Edward Berger, it’s a loose grouping of story fragments that sit together beautifully, as they jump back and forth in time. The acting, too, helps to make “Patrick Melrose” more than a relentlessly bad trip. Cumberbatch is all in on his performance, and it’s riveting — definitely some of his finest work to date. He’s by turns desperate and bitingly funny, as he quietly mocks those around him, many of whom think he’s so wasted out of grief for his father. “It’s an emotional time,” they keep saying to him. You can see his wry wit through his drugged-up delirium, as he throws money at everyone he encounters. He signals the satirical aspects of “Patrick Melrose,” as it disassembles privilege and the aristocracy piece by glittering piece. There is no fawning over the period elements and locations of “Patrick Melrose,” just a cold eye on the savage, hollow existence of the filthy rich. As his mother, Eleanor, Jennifer Jason Leigh is mesmerizing. Eleanor spends much of her time blotto, unable to focus on anything, especially her son. In one tight scene, a friend urges her to get up from the dinner table to attend to her depressed son, while her husband urges her not to baby the boy. It’s a microcosm of everything that went wrong for young Patrick. As his father, David, Hugo Weaving accomplishes everything a villain should. He delivers a chilling turn, as David rationalizes the torture of his son by calling it a character-building exercise. Compared to this depiction of denial and recovery, “Little Women” is a dollop of sweetness, despite its story points involving illness, war, and poverty. I’m not sure we needed yet another adaptation of the classic, but that doesn’t mean the two-part production, premiering Sunday at 8 p.m. on WGBH-2, doesn’t have its merits. Adapted by Heidi Thomas of “Call the Midwife,” it takes the opposite approach to period drama as “Patrick Melrose,” drawing us into a deeply nostalgic view of a time when family was prime. The Civil War has taken Mr. March (Dylan Baker), who is serving as a chaplain in the Union Army, but Marmee and their four daughters work to stay hopeful and strong. The casting is solid, with Emily Watson particularly affecting as Marmee. The star, though, is Maya Hawke, who captures the spirited Jo nicely as she grows into a committed writer and uncompromising lover. At moments, Hawke looks remarkably like her mother, Uma Thurman, but she is very much her own actress, just as Jo is her own woman. She gives us Jo’s coming of age with all the necessary resolve and grace. This production features Angela Lansbury, who is a pleasure as the strict Aunt March. Starring: Benedict Cumberbatch, Jennifer Jason Leigh, Sebastian Maltz, Hugo Weaving, Pip Torrens, Indira Varma, Jessica Raine. On: Showtime, Saturday at 9 p.m. Starring: Maya Hawke, Emily Watson, Kathryn Newton, Dylan Baker, Julian Morris, Jonah Hauer-King, Annes Elwy, Willa Fitzgerald, Angela Lansbury, Michael Gambon. On: WGBH-2, Sunday at 8 p.m.
Matthew Gilbert can be reached at gilbert@globe.com and on Twitter @MatthewGilbert.